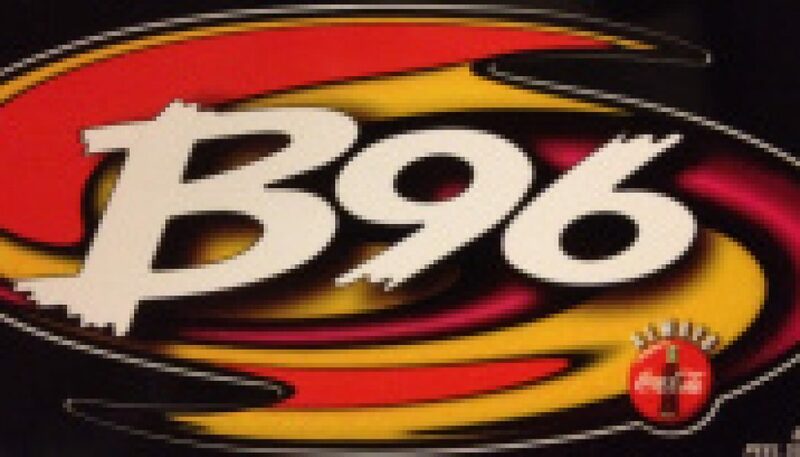 During a significant portion of the 1990′s, B96 offered a dance music-heavy format focused on currents — making it one of the very few major market, full signal commercial stations in the U.S. to find success with that formula during that decade. This aircheck, recorded at the peak of that era, is a great example of why dance radio fanatics held the station in such high regard. This montage features a sample of a classic dance segment on the “Street Mix” along with regular programming, and it’s hosted by longtime station personality Frankie “Hollywood” Rodriguez. During a significant portion of the 1990’s, B96 offered a dance music-heavy format focused on currents — making it one of the very few major market, full signal commercial stations in the U.S. to find success with that formula during that decade. This aircheck, recorded at the peak of that era (two nights before Christmas 1996), is a great example of why dance radio fanatics held the station in such high regard. It begins with a montage of the “10 O’Clock Remix”, featuring different genres of dance courtesy of longtime B96 mixers Bobby D and Julian’ Jumpin Perez. The mixers are followed by regular programming, hosted by Blue Mike a.k.a. Michael Horn. More information about Horn’s lengthy tenure with B96 can be found at THIS page. During a significant portion of the 1990’s, B96 offered a dance music-heavy format focused on currents — making it one of the very few major market, full signal commercial stations in the U.S. to find success with that formula during that decade. This aircheck, recorded at the peak of that era, is a great example of why dance radio fanatics held the station in such high regard. It’s hosted by longtime station personality George McFly and (partially) voiced by the legendary Mitch Craig.